There is a lot more to content marketing than writing articles, publishing them to your company’s blog and waiting for the masses to flock to your website. It’s a lot more complicated than that, unfortunately! Content marketing’s main aim is to increase the visibility of your brand and, if done well, it will do so successfully. However, one blog post is not enough. One lonely blog post a week isn’t really enough. Meaning that you will need to up your game if you want content marketing to work in your favour. 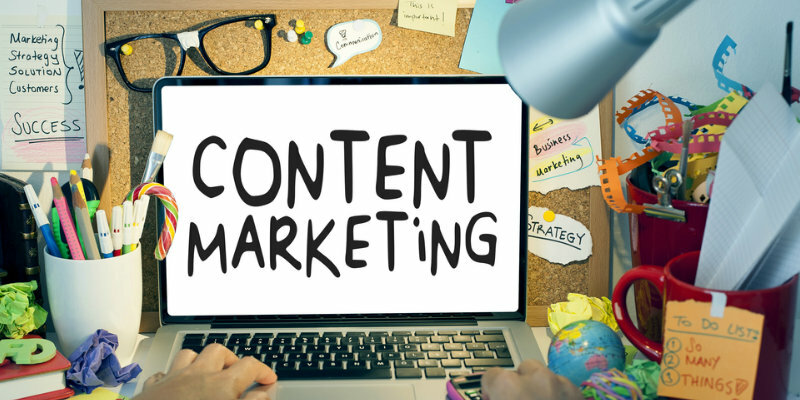 We are going to let you in a few truths about content marketing that you really need to know in order to completely understand what content marketing is, and how you can use it to your advantage by doing it well. Creating and producing content may seem like a simple enough thing to do. I mean, how long could it possibly take to throw 500 words together, right? Well, there is no correct answer to that question unfortunately. Today, content has to be concise and on-point in order to peak your readers’ interest, and in order for it to generate the kind of results you want and need – like sales, for example – and in order to produce this kind of quality content, there is a need to put a lot of effort into the creation process. Truly effective content has many parts, including the fact that it is timely, it engages your audience, it is informative, interesting and entertaining. To craft content that includes those parts you will need to ensure that it reflects your target audience and their values, as well as being written in the appropriate tone and language to ensure that you get a message across that they understand. There is no shortcut around this, and you will need to put the adequate amount of effort into the research needed and the crafting process if you want it to be a success. Content marketing needs someone who will commit to the process for the long haul, as the kind of results you want do not happen overnight, they need nurturing and a lot of time, patience and energy to produce. Creating a month’s worth of content, publishing it and then assuming that you will not have to create any more content is an assumption that many people make, only to find out that a month down the line their results have slightly improved followed by a drastic drop, leaving them right where they started. Content marketing is an ongoing project and has no end. It is a full-time commitment that you will have to build, nurture and look after in order to it to produce results, and then you have to keep going in order to either keep those results or continue to improve them. Good quality content is imperative in content marketing, but it is not the be all and end all of the process, as the content itself does not attract readers or customers by itself. In order for your content to attract the relevant users you want, you will need to promote it through a number of different but relevant channels, including social media channels. I added “relevant channels” in the mix simply because not all social media channels fit all brands, and you need to think about the channels that fit your company best in order to avoid invest your time and money into something that will not work. For example, fashion stores suit visual social media platforms like Instagram and Pinterest, as they are able to showcase different looks and accessories with their audience through lookbooks and styled shoots. Whereas a stationary store, on the other hand, will not benefit from Instagram in the same way, and should instead use the likes of Facebook and Twitter to share deals, new products and announcements. By choosing the right social media channels that suit your brand, you will gain better results a lot faster when you promote your content, as it targets the audience who are interested in your brand, services and products. SEO is constantly changing, meaning that you need to keep up to date on the changes in order to increase your odds of being seen by your target audience. The best way to do this is to check that your content reflects SEO best practices, although these practices are not set in stone – mostly because Google is constantly making changes to its algorithm. These changes, however, will go on to affect the way you need to handle SEO, meaning you need to keep on top of all of the news surrounding SEO as best as you possibly can. If you cannot do this, you may want to hire a freelancer who is up to date in that field and write for SEO as a career. This means that your content will meet the necessary standards for SEO and that you, your content and your company have a better chance of being seen and contacted by your target customers and audience. Content marketing is incredibly important – as companies are now realising according to this content marketing survey conducted by Zeentree – and you will need to put the work in to reap its rewards. However, if you do it properly and consistently, you and your company will undoubtedly reach a new level of success.